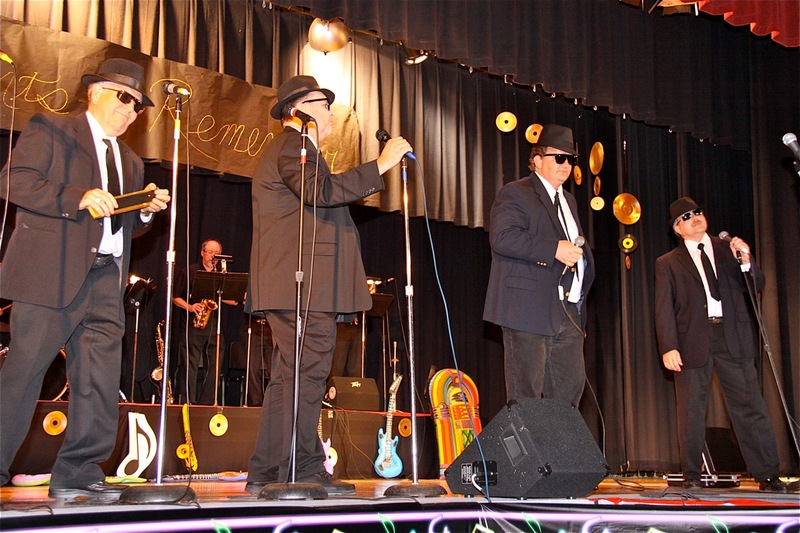 Friday night’s maiden effort by Port Allegany’s new Port Performers ensemble was aptly named “Moments to Remember.” And not just because the numbers included in the revue were well chosen for maximum nostalgia. The performances that writer-director Paul Herzig strung together and skillfully drew from local amateurs were memorable for their quality. The Performers hardly put a foot or a tonsil wrong as they danced, sang and clowned their way through the nearly two-hour revue. 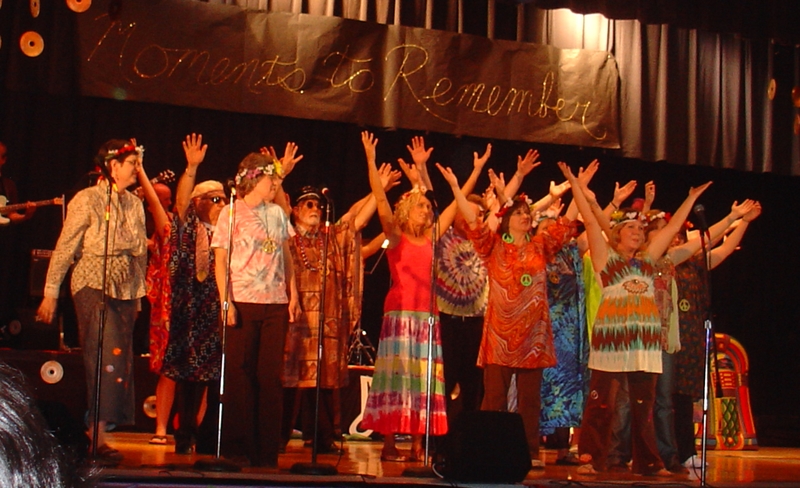 The revue was written by Herzig for a 2009 performance by a Coudersport-area troupe in the Coudersport Consistory. 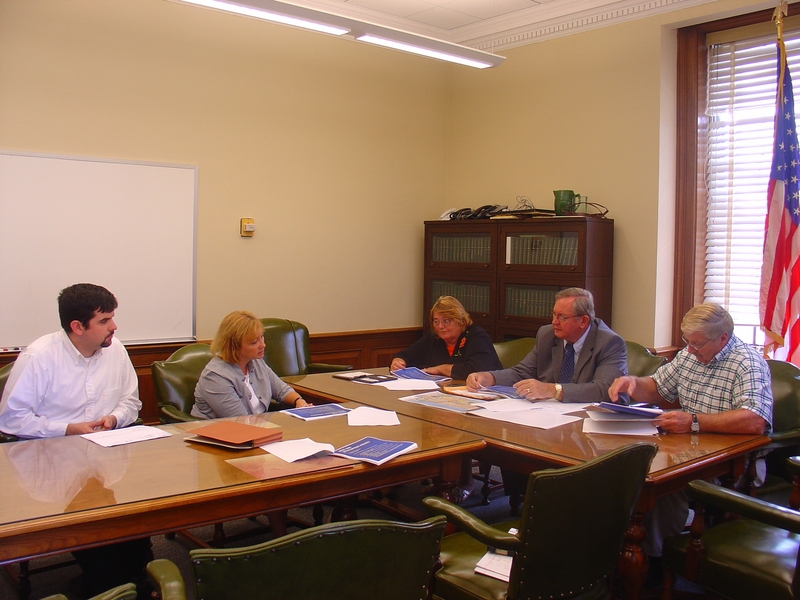 Herzig adapted the production in keeping with the change of venue and the special purpose behind the decision to do Moments in Port Allegany. Some of the performers have worked together in the past, as members of various area groups. 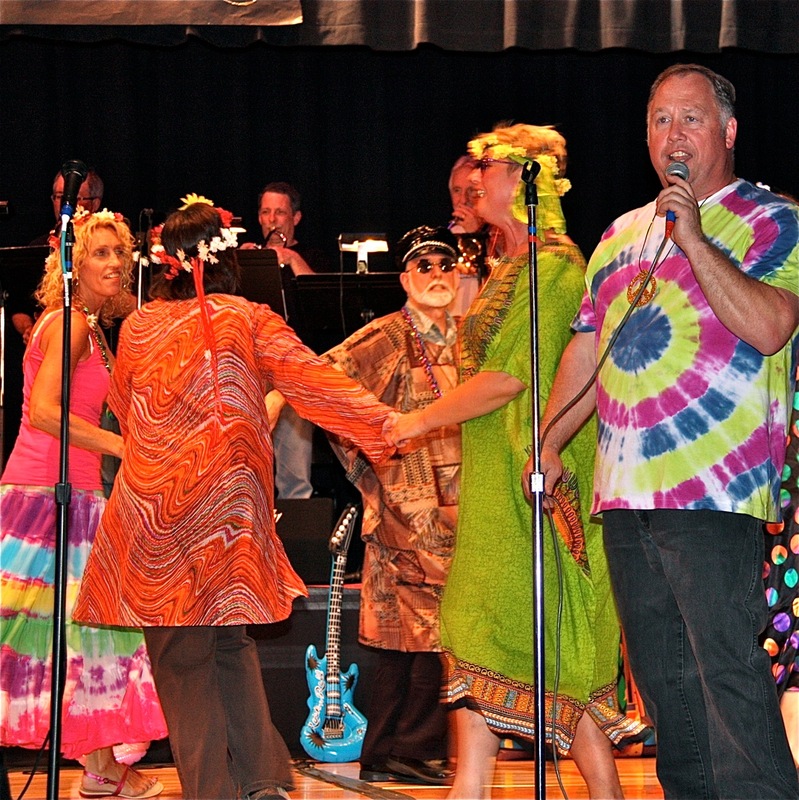 But the impetus for building a new, combined, enlarged ensemble sprang from the Class of 1960—that of Port Allegany High School, that is. The 1960 alumni were coming up on their 50th anniversary this year, and would celebrate at the annual All-Alumni Dinner, traditionally the fourth Saturday night in September. Special-year classmates often get together Friday night or Saturday, for their own special festivities and reminiscences. This class wanted to broaden their celebration to include many other people, some other activities, and some sort of benefit for their home community. Anderson and his wife Dottie have long been active in support of the Samuel W. Smith Memorial Public Library and Bookmobile. 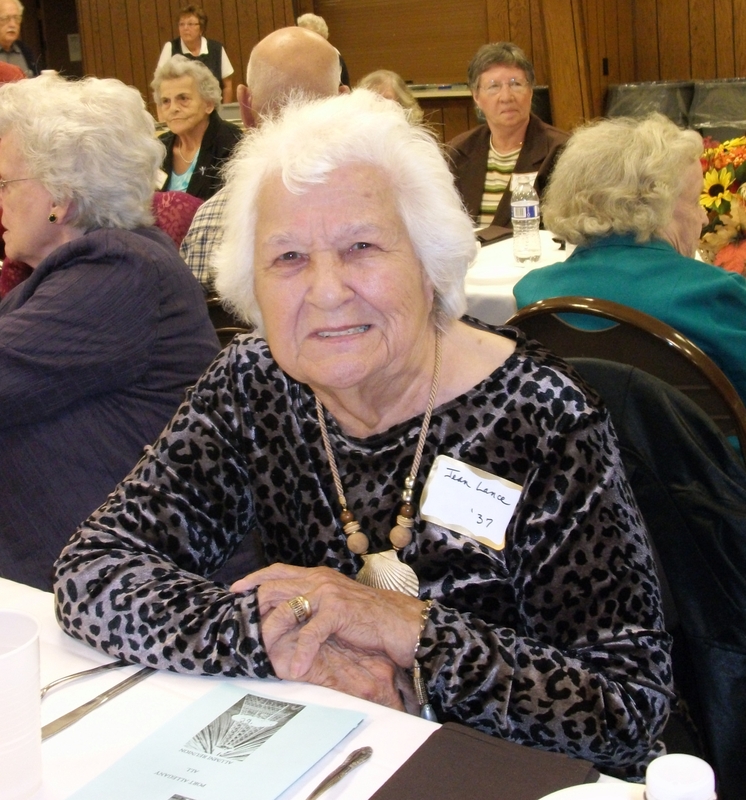 Dottie Anderson is a longtime library board member and officer, as well as a member of the Friends of the Library. The fun part was evident throughout the program: there was nothing forced about the broad smiles of the players, and the high energy level exhibited by all bespoke enthusiasm. Earlier, in rehearsals that began months ago and intensified this past month, determination was evident too—the kind it takes to do it over and over, until an exacting producer-director, a musical director (bandleader Jack Krone) and choreographer (local dance instructor Sandy Johnson) say it’s right. Even with all the effort, and long, sometimes exhausting practice sessions, the players kept saying they were having a great time, and learning a lot, thanks to the caliber of direction they received. Jack Krone’s band provided stellar support, as did sub-sets of the instrumental forces. For other ensemble members, previous knowledge of that music was from hearing oldies, and mentions by their elders—perhaps parents and grandparents. The age-range of the cast ran from teen-agers to those 40-, 50- and 60-year alumni. The generational bridging brought Mary Rosenswie to the ensemble and to a soulful duet with Jacob Stehle, “Hey There.” Both are in their teens. Mary’s mother, Ursula Haskins Rosenswie, later belted out the Tina Turner version of “Proud Mary,” bringing the audience to its feet in one of several spontaneous “risings” of the evening. Like the other players who did solo, duet and small-group turns, the Rosenswies did back-up singing in other numbers, and danced as needed. Another female solo show stopper was Barbara Headley’s “I Will Survive.” Like all the performers, she had changed costumes repeatedly, displaying the attire typical of each era and type of song (thanks to Cheryl Brown and Anna Fair’s costume designs). But when tall, slender Headley strode from the wings in her long, clingy, blue sequined gown, there were loud whistles and yells of approval. “That’s the pastor’s wife!” scolded Herzig, from his MC’s lectern. 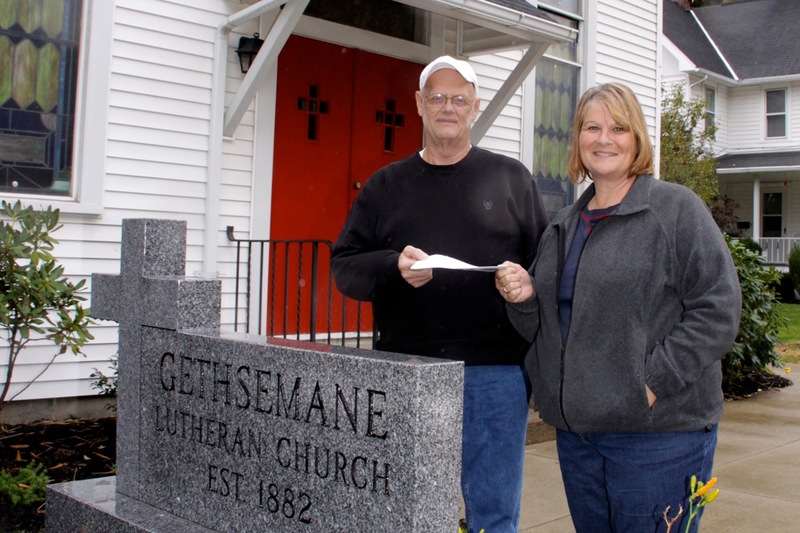 He referred to Randy Headley, another Port Performer, and pastor of the United Methodist Church. There was no doubt of Barbara Headley’s survival, as she commanded the stage and belted out the woman’s liberation anthem. A key element in the success of the production was the inclusion of locals whose usual roles in the community are in obvious contrast with their on-stage shenanigans. 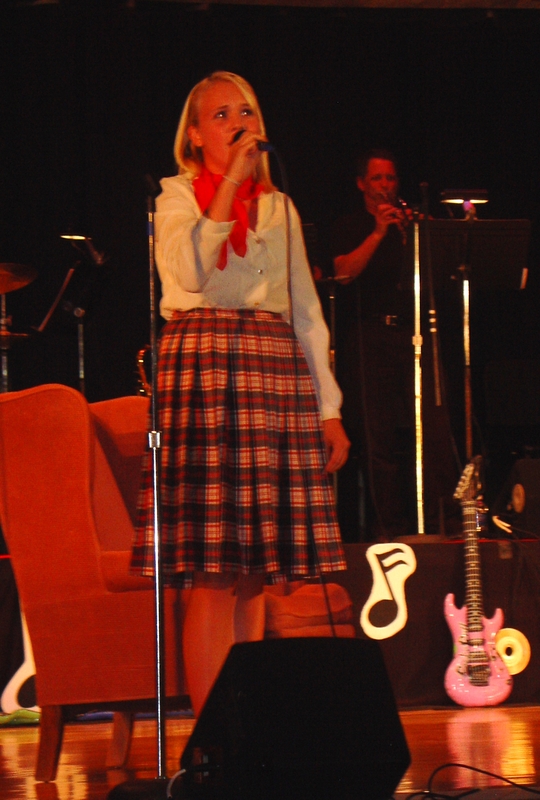 Thus Paula Moses, teacher, became a convincing teen-ager to sing “My Boyfriend’s Back.” As she warned another ensemble member, standing in front of the stage, he was “gonna be in trouble,” and he affected bravado, local bank exec Marty Moses strode onstage to join her, dressed in leather jacket and pants. The would-be swain retreated, to the mirth of the audience. Local couple “of a certain age” Dawn and George Baxter did “Wild Thing,” looking for all the world like janitorial crew, passionately smitten with each other’s charms. Herzig came front and center and led “What a Wonderful World,” joined by the ensemble and the audience. As for the library building fund, beneficiary of the proceeds, the packed aud represented well over $5,000 in ticket sales. Mary Rosenswie (you with the stars in your eyes) sang the wistful ballad, "Hey There" with poignant longing, but without the Rosemary Clooney malocclusion hiss. 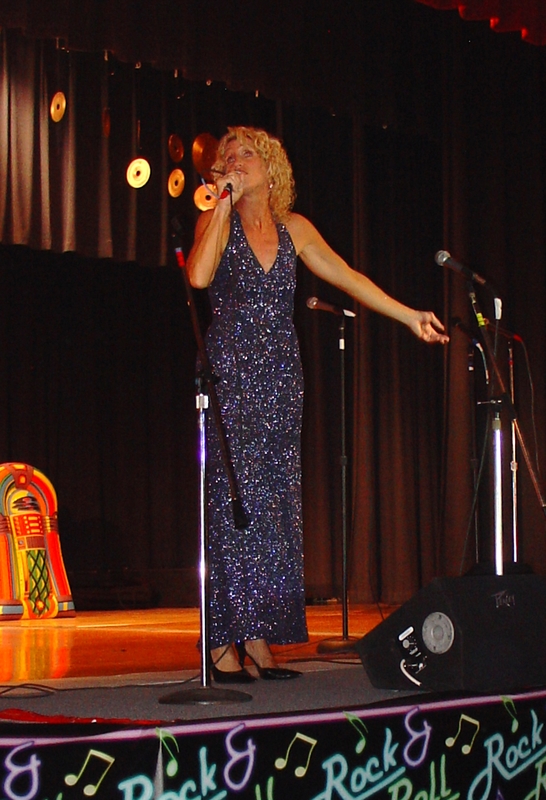 Not seen in this photo is her duet partner, Jacob Stehle, a perfect vocal foil for Mary. 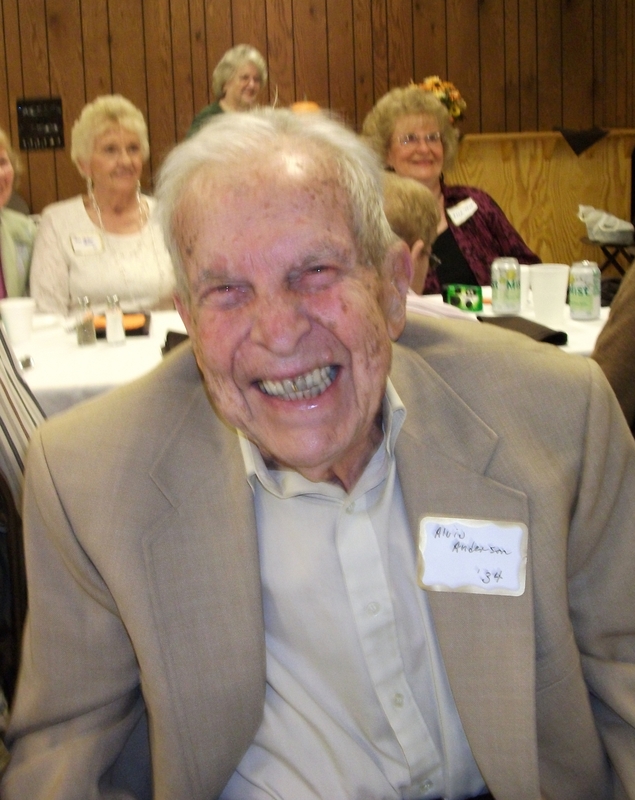 Alvie Anderson of the class of 1934 enjoyed himself at the all-Alumni Dinner Saturday night. HOMECOMING THIS WEEKEND -The Port Allegany Student Council, under the direction of Erin Moran, have announced Homecoming 2010 activities as follows: the Homecoming Parade will line up at 5 p.m. by the Borough Building - parade time is 6 p.m. The parade will travel from the Borough Building to Main Street to Arnold Avenue to Oak and finally to Mill where the parade will end at the football parking lot. Immediately following the parade, the Bonfire will be held. The Junior High Homecoming Dance will be held from 7:30 - 10:30 in the Auxiliary Gym. 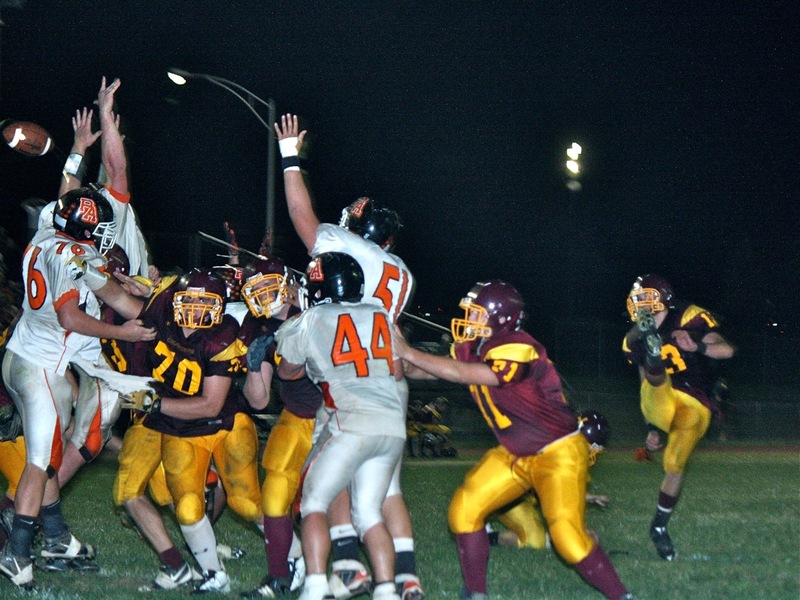 On Saturday, the Gators will host Otto-Eldred. Pre-game activities will begin at 1:15 with kick-off at 1:30. The introduction of the court and announcement of the King and Queen will take place during half-time of the game. The Senior High Homecoming Dance will be held Saturday night from 7:30 - 10:30 in the Main Gym. 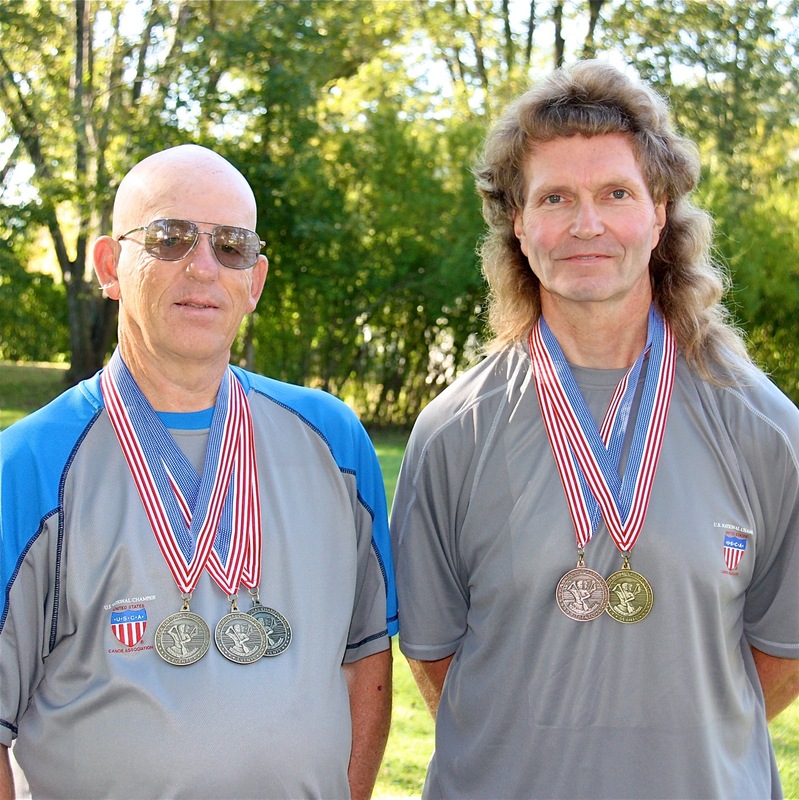 CANOE AND KAYAK CHAMPS - Jerry Patton and Jim Goochee recently returned from the 2010 USCA National Canoe and Kayak Championship in Peshtigo, WI. Patton took first place in the KI Unlimited Man Grand Veteran I and KI Sea Kayak Man Grand Veteran I. Goochee took first place KI Touring Man Master and third place in the KI Sea Kayak Man Master. Both men are Port Allegany residents.